Remembering Romford: Local people can enjoy a historical exhibition during weekends over summer. The Liberty Shopping Centre is set to invite local people on a trip down memory lane, with a photographic exhibition to reflect on Romford’s retail history. 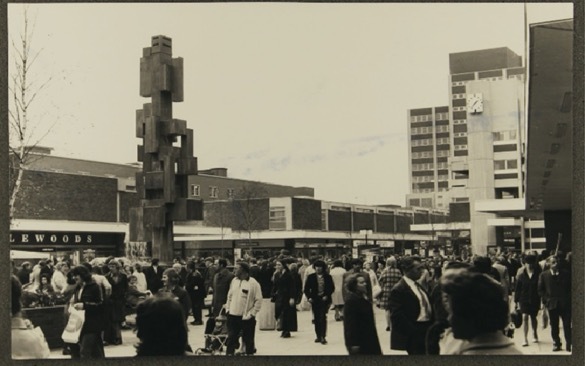 The exhibition, which will be displayed in the Romford-based shopping centre’s ‘Main Square’, will run during every weekend from Saturday 4th to Sunday 26th August, and will celebrate 50 years of The Liberty and give shoppers a glimpse into the past. The exhibition will show the town’s shopping scene during the past 5 decades, with a series of photographs and newspaper clippings that establish prominent moments in the development of shopping in the area. Centre Manager at The Liberty Shopping Centre, Jonathan Poole commented: “We can’t wait to display an insight into Romford’s shopping history and to celebrate 50 year’s of shopping here at The Liberty.